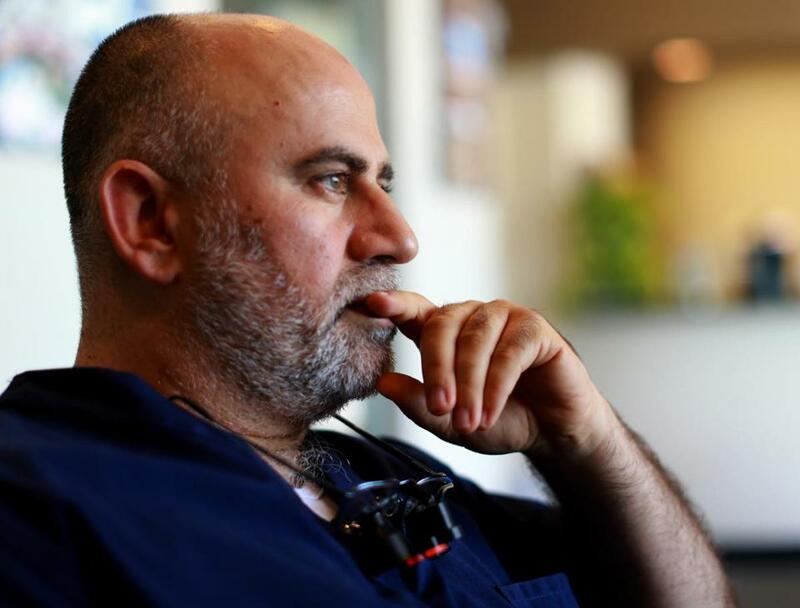 Amjad Kinjawi, a North Attleborough dentist, has lost two cousins in Syria. WASHINGTON — Why is it worse for a government regime to kill 1,400 people by chemical weapons than to engage in a civil war in which more than 100,000 people have been killed by guns and bombs? This is the question underlying the drive by the Obama administration to urgently pursue a diplomatic mission to rid Syria of its chemical weapons, even as the United States holds out the threat of a full-bore military strike. The direct answer to the question is that the Obama administration believes there is a basis in international law for eliminating the Syrian regime’s ability to use chemical weapons because most of the world has adopted treaties against them, even though Syria is one of five nations that have not signed on. There is not a similar set of international treaties against conventional weapons, even though they have proved far more deadly in the Syrian conflict. But that is little solace to families of those killed by conventional weapons, or to the two million people displaced by the war, or those who say the United States is the last, best hope to stop the bloodshed. For months, Obama had said that Assad should give up power, a goal still held by the president. But in stressing in his Tuesday night address to the nation that his proposed airstrike would not be designed to remove Assad — and in pursuing a deal on chemical weapons that depends upon Assad’s cooperation — the path forward is narrowly focused on stopping a particularly heinous type of killing, but doing nothing to curb other forms of violence used against Syrian citizens. More than 100.000 people have died in the civil war in Syria, with the vast majority being killed by bombs, bullets, and other conventional weapons. Weapons experts said that although far more people in Syria are killed by conventional means, chemical weapons — like the sarin allegedly used to kill 1,400 people in a Damascus suburb last month — are treated differently because international conventions have been signed by most countries on grounds that they are too indiscriminate. While Syria has not signed a treaty against chemical weapons, Obama has said that nation’s use of them violates international norms. The United States agreed in the 1970s to phase out chemical weapons and ratified a treaty in 1997 that required the elimination of such stockpiles, a process that is nearly complete. Syria acknowledged Tuesday that it has chemical weapons and said it will sign a ban under a United Nations proposal put forward by Russia, but it remains unclear whether the diplomatic solution will succeed. Kimball, of the Arms Control Association, said the Assad regime, as well as some of the rebel groups, have crossed other international norms, including using child soldiers as well as bombing civilian areas. “There are all sorts of wrongs that are taking place here," he said. Matthew Bunn, a professor at Harvard University’s Kennedy School of Government, who has helped formulate US policy on weapons control, said the United States has a spotty history in relation to the international norms on chemical weapons. Some other countries felt the United States violated the norm by dumping Agent Orange in Southeast Asia during the Vietnam War, he said. “The notion that it’s such an important norm that we should be using force to enforce it is new,” Bunn said. Since the sectarian wars in Rwanda and the Balkans, a different notion has developed in the international community around the responsibility to protect people being killed by their own leaders, Bunn said. “I think we should care about tens of thousands of people being slaughtered whether they are slaughtered by chemical weapons or not,” Bunn said. Rochelle Davis, an anthropology professor in the Center for Contemporary Arab Studies at Georgetown University’s School of Foreign Service, said that even if a deal on chemical weapons is enacted the Assad regime will still be standing. Nor does a proposed deal on chemical weapons do anything to help the 2 million refugees who have escaped the brutal civil war, according to humanitarian groups. The Assad regime and its supporters have committed at least eight massacres and the rebel factions have committed one over the past year and a half, not including the Aug. 21 chemical weapons attack, according to a report by a UN commission released Wednesday. The US strategy of diplomacy has, at least for the moment, alarmed not only Syrian immigrants in the United States, but representatives of Syrian rebel factions and other observers of the civil war. Advocates of a US strike against Assad said they understand the political calculations the Obama administration is facing but they fear the situation for Syrians will only grow worse with time. “Crime should not go unpunished due to a political solution,” said Khalid Saleh, the Syrian Coalition’s spokesman. The Obama administration has stressed it is trying to help Syrians in ways other than launching a military strike. The United States is providing more than $1 billion in humanitarian assistance, more than any other country, to those inside Syria as well as refugees across the region, according to the State Department. The situation has become particularly frustrating for American relatives of those suffering in Syria. Dr. Amjad Bahnassi, a Syrian-American psychiatrist in Worcester, said his relatives in Damascus and Aleppo wonder who, if not the United States, will help them. They live without food, fuel, electricity, running water — and in constant fear of kidnappings, he said. Bahnassi’s brother, a 63-year-old pharmacist, was stopped in the street by the Assad militia about eight months ago and stripped of his watch, wallet, and car. But he considered himself lucky. They allowed him to walk home. Nadia Alawa, an East Hampstead, N.H., mother-of-eight who founded the humanitarian aid group NuDay Syria in February to assist women along with children orphaned by the conflict, said the military routinely enters villages and uses knives to slaughter women and children. Last month, Alawa said her cousin, seven months pregnant and the mother of a 2-year-old boy, was killed by a missile while standing in a doorway. On Monday evening, Alawa and about 20 others lined up near a rally on the Boston Common, where hundreds were protesting possible US intervention. Alawa and her friends watched silently, while they lit candles and held up photographs of children who have died in the war. Kinjawi has lost two cousins as a result of the Syrian war. 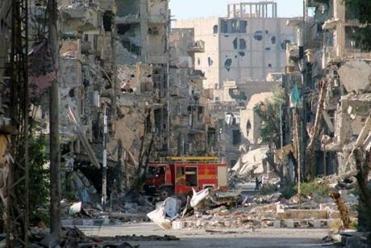 One, a doctor in Aleppo, was imprisoned by the Assad regime and subsequently killed by a sniper, Kinjawi said. Another was killed when he was hit by a fragment from a rocket, he said.